There are many reasons to visit the Caribbean for a holiday. Sandy beaches, blue seas, and tropical getaways are just some of the incredible things this stunning group of islands has to offer. Caribbean food is also popular around the world, and if you want to try an authentic jerk chicken or even a conch salad, then where better than at a local restaurant or at a beach barbecue in the Caribbean itself? Seafood is a staple ingredient, which is hardly surprising considering the culinary riches of the Caribbean Sea. Grouper steaks, a host of different shellfish, and conches are especially popular as primary ingredients. Roast pork, chicken, and goat are popular meats, and all are typically seasoned with spices and herbs to ensure a rich and memorable culinary feast. The prevalence of papaya, which is found growing wild in the Caribbean as well as on plantations and farms, means that it is included in many local dishes. As well as being eaten on its own, it is often added to salads or used to garnish cocktails, and is eaten individually and fresh. Almost all restaurants, hotels, and beachfront bars will serve jerk dishes. Jerk is a mix of hot and aromatic spices, and is most commonly used as a dry rub and applied to meats and kebabs to create what many people will instantly think of as being traditional Caribbean food. Different cooks and chefs will have their own take on the jerk mix, which means that you can enjoy a superb variety of flavours during your trip. Pepperpot, which is also called souse in the Bahamas, is a large stew dish that contains potatoes, okra, aubergines, and a huge mix of other vegetables and fruits found growing locally. Meat is usually included, although purely vegetarian options can be found, and beef is the most common, although pork or chicken may be used in some cases. Simple flour-and-water dumplings, called spillers dumplings, add texture and weight to the dish, which you will find served in many varieties across the region. The Caribbean is a large region and the cuisine is not homogeneous throughout the area: depending on where you visit, you can expect great variation in the islands’ signature dishes. If you’re booking a Cuban getaway then unique dishes like Boliche, which is a beef roast stuffed with chorizo and boiled eggs, are a must-try. Stews and soups, typically containing citrus flavours like lemon and bitter orange, are also commonly found in restaurants and hotels. For lunch, visitors should try a mixto; a Cuban sandwich made from local bread using lard instead of oil, and contains roast pork, Serrano ham, Swiss cheese, dill pickles, and yellow mustard. 2 Responses to "What You Should Know About Caribbean Food"
I’ve never been to Caribbean but the way you describe the foods, sure it is delicious. Would want to try it someday. Hope I can hit Caribbean this year before holiday ends. 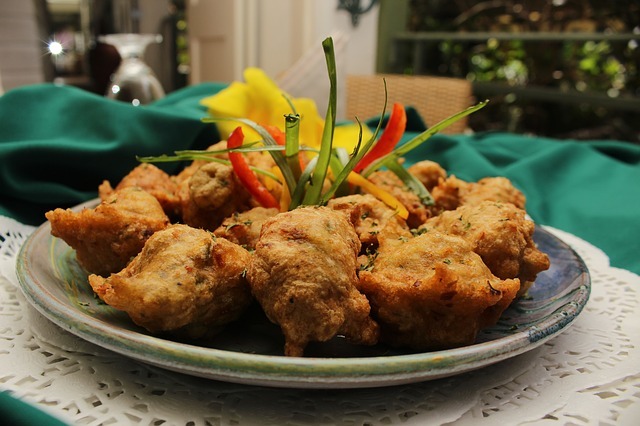 There’s definitely great variety in Caribbean cuisine, with all the cultures that are present in that region. Even if I never get to visit, I need to find some jerk recipes to take advantage of someday. Thanks for sharing!